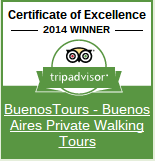 Browse: BuenosTours › Buenos Aires Tours › Questions? 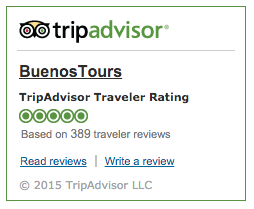 Would you like to ask about booking a last-minute tour for today or tomorrow morning? Or ask to be notified of any cancellations for a day where the time-slot you want is not available? Or maybe you want to ask about alternative payment options instead of paying 100% online now through our secure online checkout? We can of course provide alternatives, but please remember that if someone else comes in and pays for a tour in the time-slot you want before you finalize your booking, you may lose that time-slot. Or do you have any other question at all before booking? (If so please check first that it isn’t answered on our Tour FAQ page).